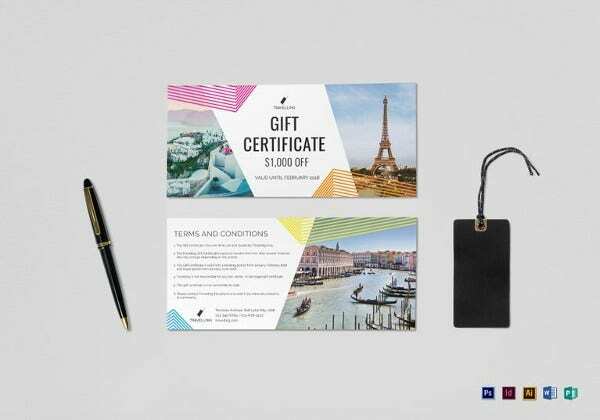 11+ Travel Gift Certificate Templates – Free Sample, Example, Format Download! Your best friend is waiting to get the best gift from you on his wedding. 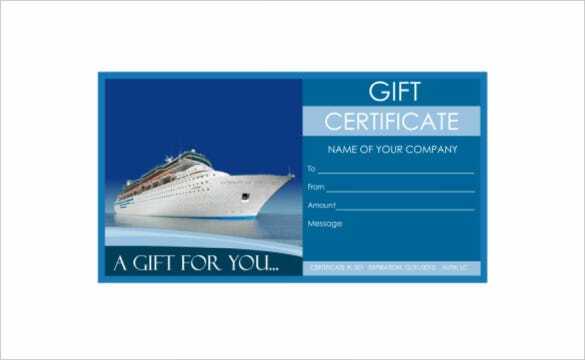 Stop thinking har and get an easy solution to your problem with gift certificates. 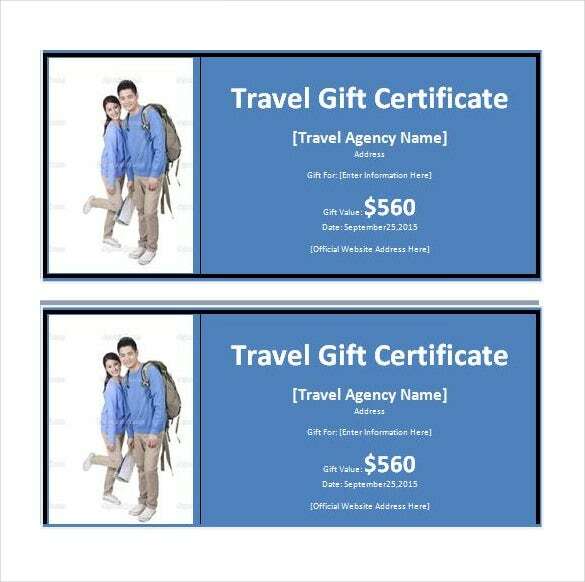 Numerous travel agents and online companies are there who offers travel gift certificates in different formats. So, you can now shoulder the responsibility of arranging a super romantic honeymoon for the newlywed with these amazing gift certificates. 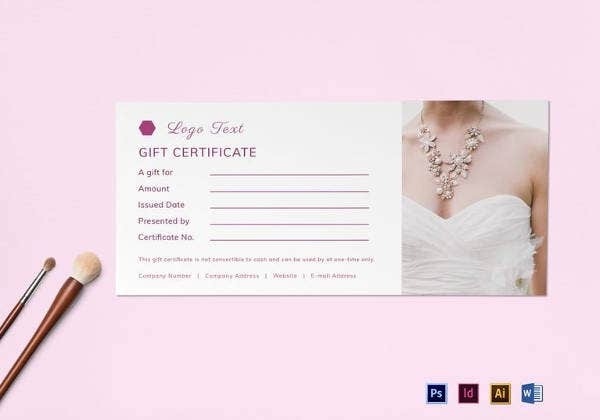 You may Also Like Photography Gift Certificate Templates A good-looking gift certificate never disappoints and always brings smiles of the faces of the recipients. 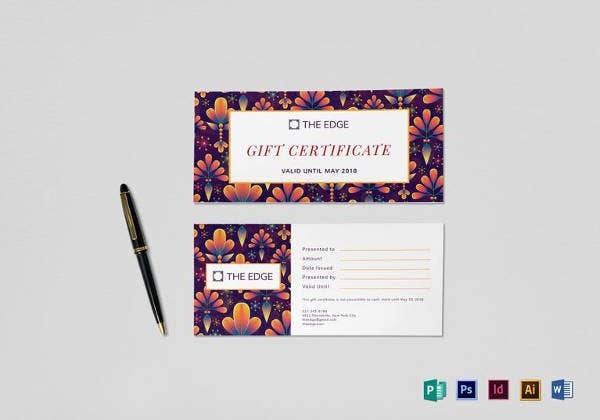 If you’re looking to give away a gift certificate to a loyal customer or dedicated employees, gift certificate templates are easily available and you can prep one in a jiffy! The very picture of the flying airplane on the left sets the right mood for a travel certificate here. The right side is about the details of the gift certificate such as gi8ft value, authorization etc. It’s really easy to edit and you are getting the certificate in as many as 5 color variations. 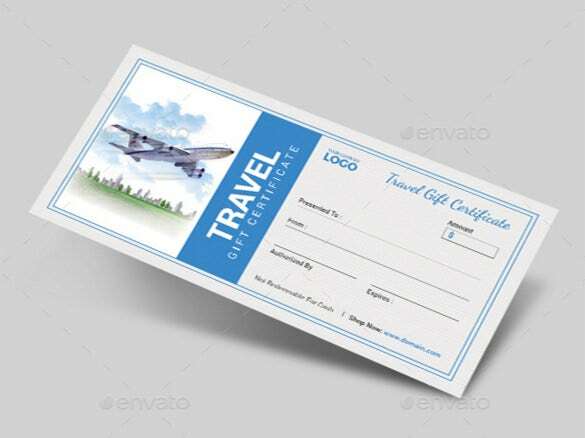 The gift box on wheels duly speak of the very spirit of the travel certificate and nothing can be more apt than this when you are looking for a fitting certificate for a travel gift. 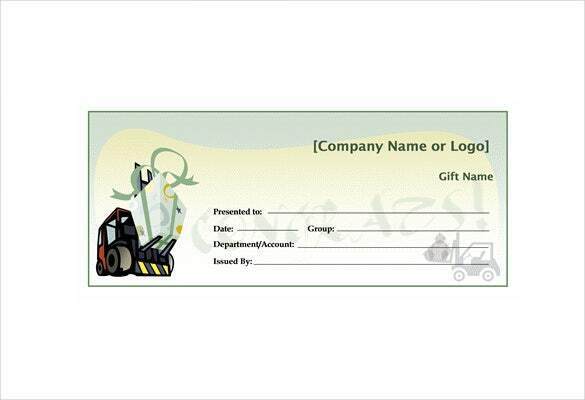 You have a designated space to include your company name or logo – followed by information on the gift certificate. 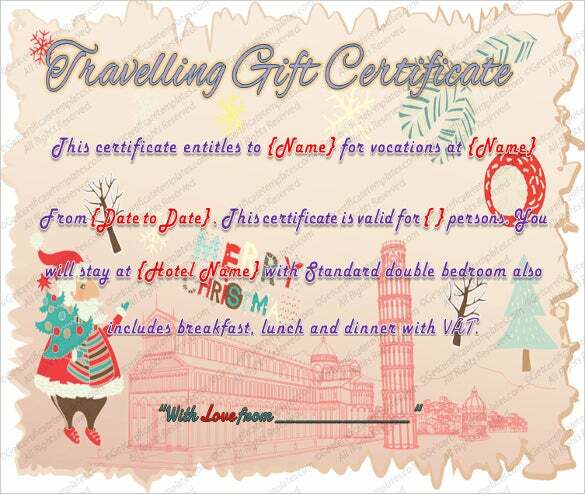 Christmas holidays are the time for great travels and if you are planning for travel certificates for holiday seasons, this one would be amazing for you. The entire certificate has got a vintage feel to it with its faded background and the merry Santa Claus livens up the mood further. 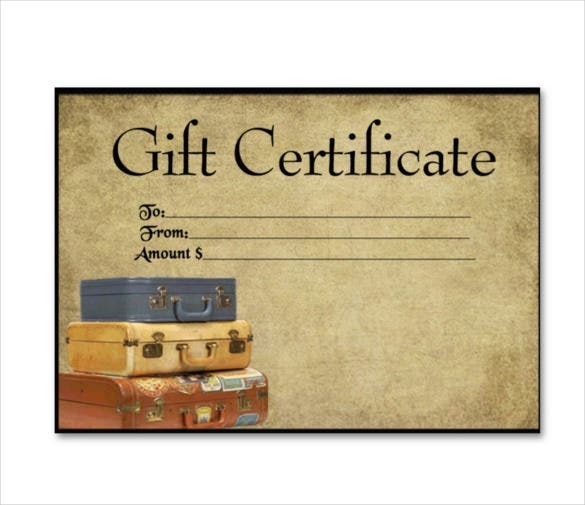 From the stickered retro suitcases to the faded background to the archaic fonts, everything about the travel gift certificate speaks of warm old warm charm- sweeping you straight to the happy travel memories with families. It’s a simple gift certificate but with an elegant aura and anybody will preserve it for its special feel. 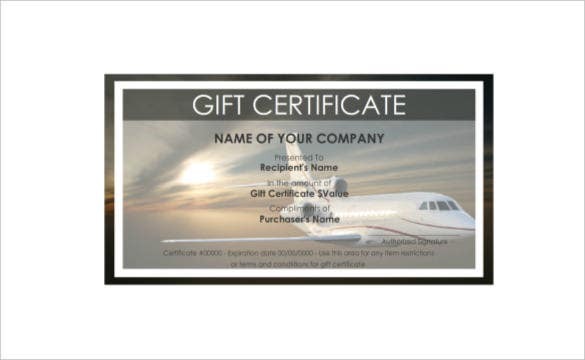 giftcarddesigner.com | The big aeroplane flying across the golden sky takes the mind back to the so many joyous flight memories. It’s a fitting picture to inspire the wander lust in your clients and they would love to receive such a pretty travel gift certificate from your company. It’s a one-sided certificate. You are getting a smart gift certificate here where you have a picture of a happy couple all set for a tour on the left while the right side is all about the details of the certificate- such as the name of the travel agency, your address, the gift value and other important details.